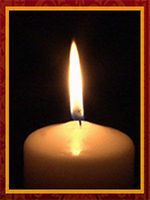 Esther R. Gaskill, 80, formerly of 121 Crestmont Ave., Lancaster, PA, died Thursday, July 21st at Hospice of Lancaster. She was the loving wife of Arthur E. Gaskill with whom she had been married 60 years. Born in Creswell, PA, Mrs. Gaskill was the daughter of the late Gilbert K. and F. Lena Wade Mann. She was a member of Grace Evangelical Congregational Church in Lancaster. A dedicated employee of R.C.A. for 40 years, she held various positions there, retiring in 1987. In addition to her husband, Mrs. Gaskill is survived by 3 sons, Kenneth, husband of Terry Struble Gaskill of Denver, PA, Keith, husband of Ruth Ann Shaw Gaskill of Quarryville, PA, and Kyle, husband of Lisa Schmeck Gaskill of Ephrata; a brother, Gilbert K., husband of Ethel King Mann of Pensacola, FL; 5 grandchildren and 3 great-grandsons. She was predeceased by a sister, Helen Mann; a granddaughter, Anna Mae Glatfelter and a great-daughter-in-law, Cori Witmer Gaskill. A funeral will be held at Kearney A. Snyder Funeral Home, 141 E. Orange St., Lancaster, PA on TUESDAY, July 26, 2011 at 11:00 a.m. Friends may call at the funeral home on Tuesday from 10:00 a.m. until the time of service. Interment will be in Creswell Cemetery, Conestoga, PA. In lieu of flowers, contributions in Mrs. Gaskill’s memory may be sent to Hospice of Lancaster County, P.O Box 4125, 685 Good Dr., Lancaster, PA 17604-4125.